The place doesn’t look like much from the outside, but do NOT let that fool you. The inside is quite spacious with high-ceilings, tables arranged almost picnic-style, and pretty much just a wide-open feeling – my favorite type of atmosphere. 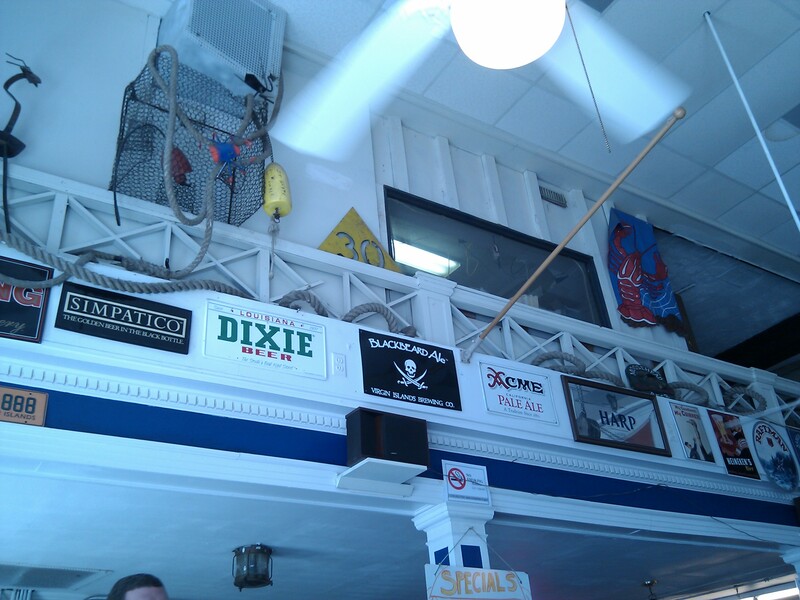 The decor is typical American restaurant: license plates, signs, etc. Overall I just really liked how open the room was. There was a lunch menu available with pretty reasonable pricing, but most of the items were fried, and we wanted some fresh seafood. So, we decided to split a Steamed Platter, which came with Old Bay-spiced shrimp, snow crab legs, and a half-dozen clams or oysters (we chose the clams. 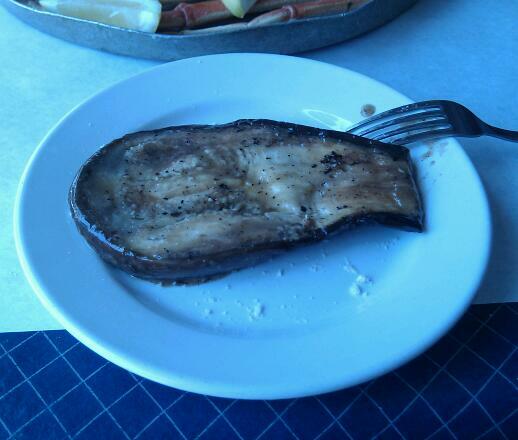 We also ordered a side of grilled eggplants, one of the daily specials. The food was really, really delicious! I must say I was very impressed, especially with the freshness of everything. I’m usually not a big fan of clams/oysters/mussels, but these clams were GOOD. The shrimp and snow crab legs were also very fresh – I joked that you could still taste the saltiness of the sea. 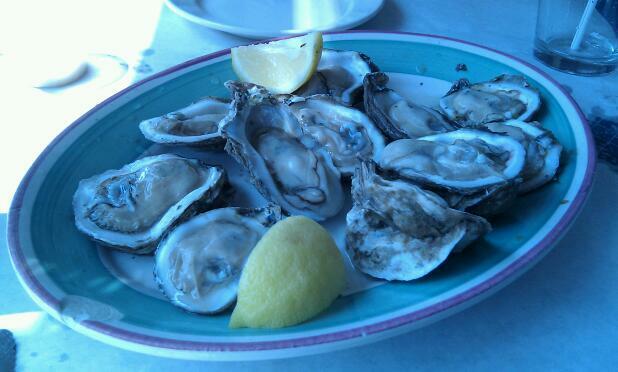 Since it was Friday, there is a special on oysters – $7.00 for a dozen, from 2pm-6pm. Since we arrived relatively late, but the time we had finished everything it was already past 2pm – so of course we ordered a dozen oysters! I have never eaten raw oysters before in my life, so there was a little lesson (involving some embarrassing shell-biting), but in the end I think I figured it out. For my first oyster experience, I must say I really enjoyed it, and I would definitely not mind going back for more. All in all, I had a wonderful seafood experience. 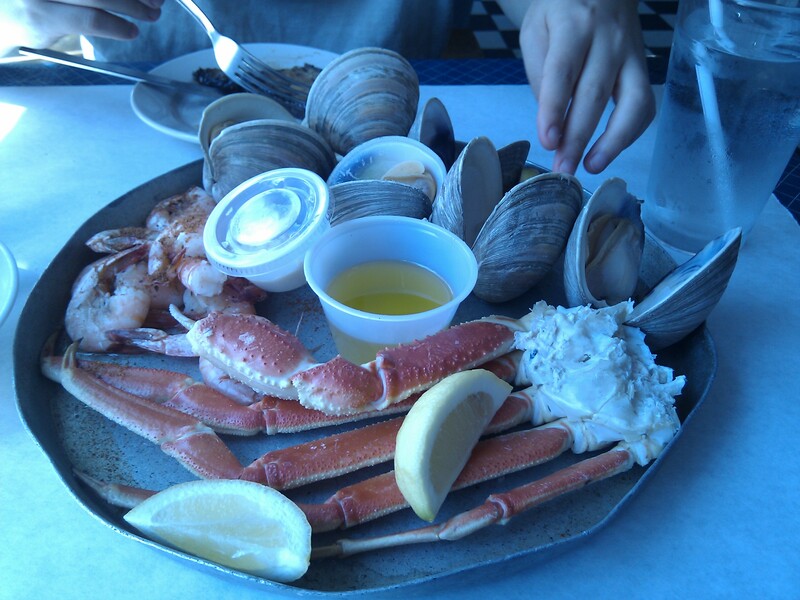 I never thought that I would have such a great time eating seafood, and in Durham on top of that (I used to live in Florida, pretty much on the beach), but it was a really great meal. As for pricing, well, we did order a lot of food, but I think you don’t order as many thing as we did, it can be a very reasonably-priced meal. So my recommendation? 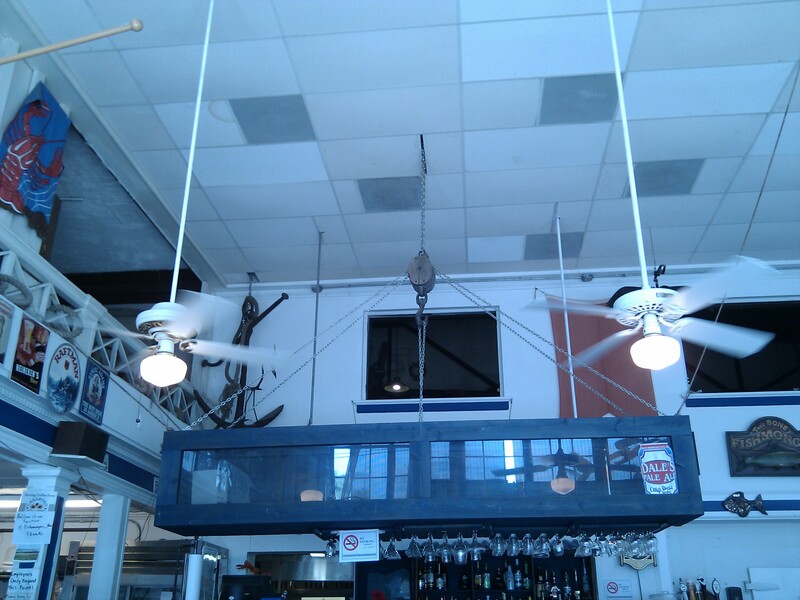 If you are looking for good seafood in town, Fishmonger’s is the place to go. Previous Post: « My first souffle!